ADDRESS Interview with Creative Matters. Define your craft in 3 sentences or less. For more than 25 years, Creative Matters’ talented and inspired designers have been working with interior designers and architects to create exceptional floor and wallcoverings for luxury hotels, boutique retailers, stylish offices, elegant homes and diplomatic missions around the world. This extensive experience has enabled us to nurture a roster of the finest artisans – those uniquely capable of realizing the highest quality creations for our clients. 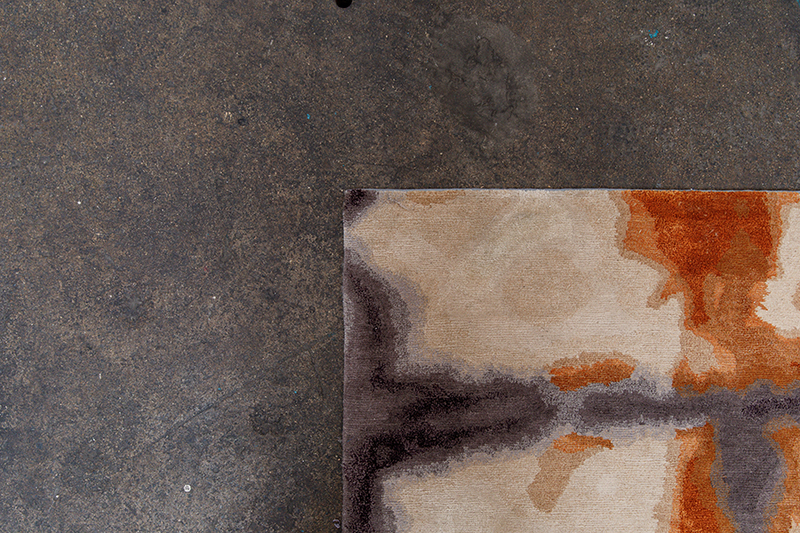 From handknotted rugs in Nepal to custom printed carpets in Denmark to felted wallcoverings in China, we assign our designs only to the few who have truly mastered the technique. Creative Matters is the first North American licensee of Label STEP, an international non-profit organization committed to promoting fair trade in the rug industry. We work closely to promote environmentally-friendly production methods, improve working and living conditions for carpet weavers, and eliminate child labour in the carpet industry. Describe your creative process. By listening to interior designers’ vision for rugs they want to customize for their clients, we collaborate to develop new patterns. We may scroll through our extensive archives for a jumping off point, or a texture may be the inspiration. From the kernel of an idea we work closely with the interior designer to develop the pattern, colour, texture, method of production which fits the budget and answers the need for durability. Where do you find inspiration when experiencing a creative block? Our signature Art Days are an integral influence on the constant flow of creative design that emerges from our studio. We immerse ourselves as a team in fresh inspiration, be that a technique or a subject matter. Some designs may be suited to a Collection, while others are stored in our growing archive for future projects. What advice would you give to young designers / makers / artists / creatives aspiring to make it in their field? Be open to new opportunities that may come your way. What’s your dream project? We love being entrusted to work on multiple areas on a project. Creating new designs specifically for a client can be so satisfying. What art / design trends are you excited about? Shaped rugs seem to be coming back to enliven the floor.